We have officially reached peak nostalgia. “Danger, Will Robinson!” is a classic line from Lost In Space, a 1960s sci-fi TV series, and has become iconic to the point of being almost a joke. But now we’ve officially come full circle. Thanks to Netflix, that iconic, cheesy line has become a sinister warning once more, as the streaming site reboots Lost In Space as a serious, dramatic space epic fit for 2018. 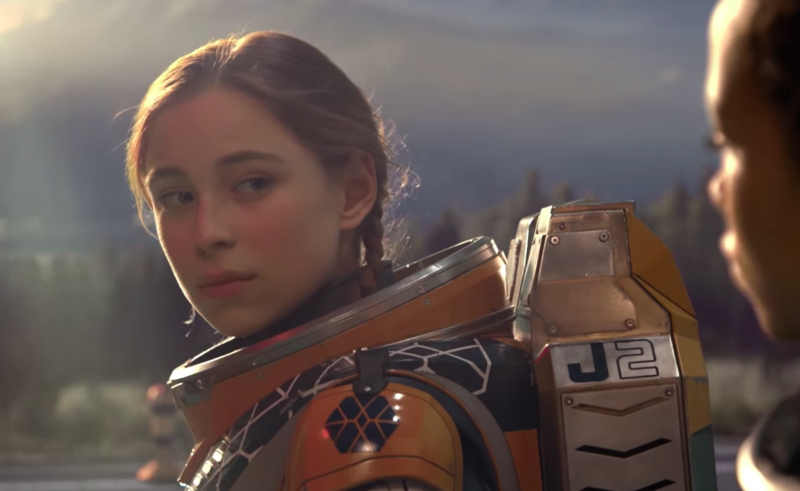 Netflix has just released a teaser trailer along with a premiere date for the Lost In Space reboot, and if it wasn’t for the final line in the footage or the name tag clearly reading “Will Robinson” we honestly wouldn’t know that this was the same series as the fun show from the ’60s. This looks like a completely new take on the old story, which isn’t a bad thing at all. The Netflix retelling looks awesome. It starts off super hopeful but ends on quite the ominous note. The 10-episode series stars Black Sails alum Toby Stephens as expedition commander John Robinson, Deadwood‘s Molly Parker as engineer Maureen Robinson, and Parker Posey as the gender-flipped Dr. Smith. Set 30 years in the future, colonization in space is now a reality and seemingly a necessity (is this a modern climate-change twist embedded in the mythology? ), and the Robinson family is among those tested and selected to make a new life for themselves in a better world. But just as in the 1965 original series, the new colonists find themselves abruptly torn off course en route to their new home — and their crash landing on a strange planet is even teased in the trailer! They must forge new alliances and work together to survive in a dangerous alien environment, light-years from their original destination. Stranded along with the Robinsons are two outsiders who find themselves thrown together by circumstance and a mutual knack for deception. The unsettlingly charismatic Dr. Smith is a master manipulator with an inscrutable end game (which is a bit different from his original comic relief role). And the roguish, but inadvertently charming Don West (Ignacio Serricchio) is a highly-skilled, blue-collar contractor, who had no intention of joining the colony, let alone crash landing on a lost planet. Oops! Lost In Space hits Netflix April 13th.